Below is a selection of successful pianists/keyboardists, composers and record producers, who all use Pianoteq in their projects. 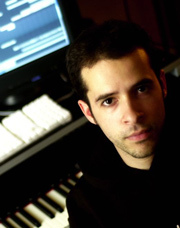 Jason Graves is a British Academy Award-winning composer who has brought his passion for music to video game franchises such as DEAD SPACE (EA), STAR TREK (Bethesda) and SILENT HUNTER (Ubisoft). 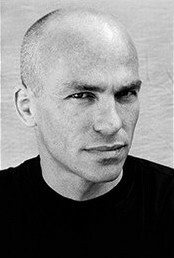 His Hollywood expertise allows him to move effortlessly between film, television and games, and he is renowned worldwide for his cinematic, immersive and award-winning music. Jason's diverse musical background as a classically-trained composer, jazz drummer, keyboardist, guitarist and world percussionist allow him to expertly compose in many different genres of music. 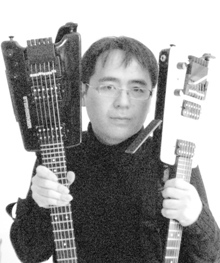 As a result, his game credits alone include more than eighty titles, ranging from electronic and rock to full symphonic scores. He performs world percussion and guitar on many of his own scores and has conducted and recorded his live orchestral scores at Air Studios London, Capitol Records, Paramount Pictures, Skywalker Sound, and with the Seattle and Salt Lake City Philharmonic orchestras. Recent projects include two hybrid electronic/orchestral game scores - one for the popular CITY OF HEROES franchise, entitled GOING ROGUE (N.C. Soft) and a second for SECTION 8 (Southpeak Interactive), a first-person shooter set in the distant future. 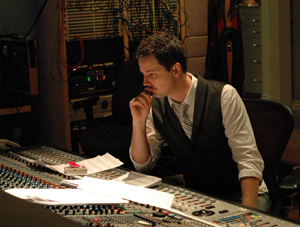 Jason also provided a live orchestral score for DEAD SPACE EXTRACTION, the Electronic Arts prequel to the popular and critically-acclaimed horror hit DEAD SPACE. Jason is currently working on the epic new score for the third episode of the FINAL HOURS OF TOMB RAIDER, due for release in March 2013. Mati Moon is a Music Producer & composer based in LA, Tel Aviv and Berlin. He has worked with some of our most important songwriters in the music business (Diane Warren). Currently he is working on pop music with a variety of artists and also composing for film & TV. His most recent clients include T-Mobile, Mercedes Benz and Netflix. He was signed as a writer to BMG Rights and as an artist to Warner Music Group. Grammy nominated writer/producer, worked with the likes of Christina Aguilera, Jennifer Lopez, Celine Dion, Cher, Gladys Knight, Chimene Badi, Dru Hill, Brandy, Judith hill among others. Jon Vezner is a songwriter/singer/producer. 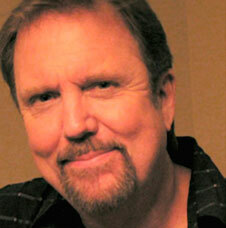 He has written songs for Kathy Mattea, Reba McEntire, Faith Hill, Nancy Griffith, Janis Ian, John Mellencamp and more. He has produced projects on Victory Shaw, Kathy Mattea, Dougie McLean, Danny O'Keefe and the legendary Patti Page. "Where've You Been", a song he co-wrote with Don Henry, won the ACM (Academy of Country Music), the CMA, (Country Music Association) the Grammy and the NSAI (Nashville Songwriters Association International) awards for song of the year. He was also NSAI songwriter of the year. 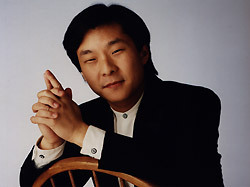 Hugh Sung is one of the most sought after collaborative pianists in the Classical Music field today, having worked with the likes of violinists Aaron Rosand, Hilary Hahn and Leila Josefowicz, flutists Julius Baker and Jeffrey Khaner, and leading composers such as Jennifer Higdon and Richard Danielpour. 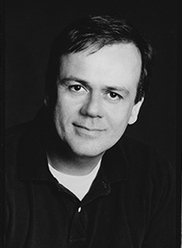 A graduate of The Curtis Institute of Music, Hugh joined the faculty in 1993 and currently serves as Director of Student Recitals and Instrumental Accompaniment. «Working with digital pianos had always been an exercise in frustrating limitations, a bit like being forced to color by numbers with no more than 10 crayons at a time. Even high-end piano sample libraries have been extremely disappointing, offering exquisitely recorded piano sounds completely divorced from any real interaction or control of the sound beyond a relatively sparse range of touch. MODARTT PIANOTEQ, on the other hand, represents a stunning breakthrough, making it possible for the first time for a serious musician to work with a digital instrument that gives virtually the full color palette of a 'real' acoustic piano. PIANOTEQ responds in the widest dynamic range I've ever experienced in a computer instrument, from the most delicate pianissimos to keybed-thumping fortissimos, complete with all the physical phenomena that accompanies such deliveries like sympathetic vibrations, soundboard echo, and an amazing variance of hammer/string interactions. Damper control is amazingly continuous and realistic, enabling the most subtle tapers of note-ends and flutter pedal effects. Born in Paris to American parents, "tremendously gifted" (LA Times) pianist-composer Dan Tepfer has translated his bi-cultural identity into an exploration of music that ignores stylistic bounds. His 2011 Goldberg Variations / Variations, which pairs his performance of Bach’s work with improvised variations of his own, has received broad praise as a "riveting, inspired, fresh musical exploration" (New York Times). He has worked with the leading lights in jazz, including extensively with saxophone luminary Lee Konitz, while releasing seven albums as a leader. 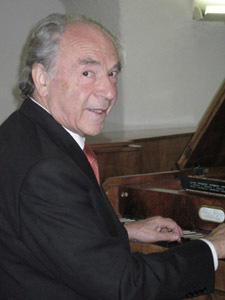 As a composer, he is a recipient of the Charles Ives Fellowship from the American Academy of Arts and Letters for works. Awards include first prize and audience prize at the Montreux Jazz Festival Solo Piano Competition, first prize at the East Coast Jazz Festival Competition, and the Cole Porter Fellowship from the American Pianists Association. His recent soundtrack for the independent feature Movement and Location was voted Best Original Score at the 2014 Brooklyn Film Festival. Wang Leehom is a Chinese-American singer-songwriter, music producer, actor, and film director. Known as the "King of Chinese Pop", Leehom has repeatedly revolutionized the Chinese pop music scene with his evolving blend of pop, rock, jazz, hip-hop, R&B, classical, and traditional Chinese music ranging from aboriginal folk music to Beijing opera. The best-selling Mandarin-language musician of his generation, Leehom came to prominence as a teen idol at the age of 19 and has since released 15 solo studio albums and contributed to dozens more. He has earned numerous prizes at Taiwan's Golden Melody Awards and the Chinese Music Awards, and is currently touring to sold-out venues in over 100 cities worldwide. In addition to his music career, Leehom has also starred in several movies, including Love in Disguise (2010), a romantic comedy which Leehom wrote, directed, and scored, setting the record for the highest-grossing film for a first-time director in Chinese history. As a native of both the eastern world and the western one, Leehom strives to serve as a cultural ambassador by bringing Chinese music and culture to English-speaking audiences. 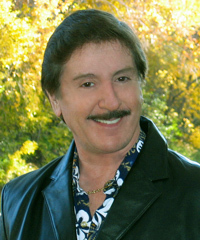 Warren Hartman has worked with Kenny Rogers as music director and conductor for 23 years. Kenny, being one of the best-selling music artists of all time, had three albums co-produced by Warren together with Randy Travis producer Kyle Lehning, and another produced by Warren, Kyle, and Dann Huff. Since 2014, Warren is pursuing his own career as a composer/pianist, compiling music from several genres. He is currently involved in new piano/orchestral underscore for Spoken Word pieces by John David Teems, and several album projects. Robert Martin is a talented multi-instrumental performer, producer and composer, with a background of intensive classical training on French horn at the prestigious Curtis Institute in Philadelphia. 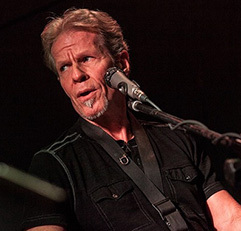 He performed on all of Frank Zappa's tours and live albums from 1981 on, and has also performed with Paul McCartney, Michael McDonald, Stevie Nicks, Boz Scaggs, Etta James, Patti LaBelle, Bonnie Raitt, Kenny Loggins, Prince, the Moody Blues, Lyle Lovett, Gladys Knight, Glenn Frey, Bobby Caldwell, Michael Bolton, David Sanborn, The Stylistics, The O'Jays, Sheila E, The Blues Brothers, and many others. Robert was also Musical Director for Bette Midler and co-produced a Grammy nominated album for Wilson Pickett on Motown. Since 1986, Robert has owned and operated his own studio and branched out into programming, engineering, mixing, mastering and producing music for advertising, film and television. He will feature Pianoteq on the upcoming Zappa Hologram tour beginning in December 2018. 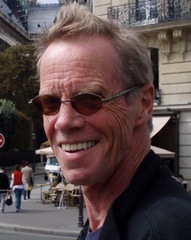 Steve resides in Paris, where he works as a film composer. A handful of solo albums the most recent ToGetHer features many of the artists Steve is associated with, singing Steve's compositions in duet. Always the piano remains at the center of his work. His hybrid-opera Welcome to the Voice, music by Steve Nieve and lyrics Muriel Teodori, (Deutsche Grammophon) fused together classical female singers like Barbara Bonney and Amanda Roocroft and rock male singers like Sting and Robert Wyatt, receiving sell out shows at the Chatelet Theater in Paris. Steve and Muriel are now creating a completely digital opera and Pianoteq software will be an important part of this creation. 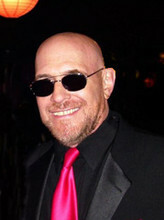 Jimmy George is a multiple Grammy nominee for best songwriter. His songs, "I'll Always Love You", and "Just To See Her", won nominations for Jimmy, Taylor Dayne, and a Grammy for Smokey Robinson, as "Best Vocal Performer". As a studio guitarist in Los Angeles, he has played on major number one hit records, arranged and produced top recording artists such as The Temptations, The Commodores, and George Benson. Jimmy played guitar on many Motown hits for Michael Jackson, The Jackson Five, Diana Ross, Marvin Gaye, Thelma Houston, and others. He has also appeared in concerts with Jimi Hendrix, Buddy Miles, Sly and the Family Stone, Crosby, Stills, Nash and Young, Janis Joplin, Three Dog Night, and many others. «When "digital" software and recording equipment first came on the scene, every serious musician was frantically searching for the most accurate sounding grand piano, software and hardware. There weren't really any that could be used professionally, and that was frustrating to me, as I had sold my grand piano when I moved. I was looking for a new one, and, (as an equipment guru), noticed this brand new program at the Guitar Center in Hollywood. The salesman informed me that it had just arrived, and they had not had time to set up a demo. I was a customer they did not want to lose, so I insisted they set it up so I could hear it. I still recall when I plugged in the earphones to the Korg 88 controller, the first note I played, blew me away. At first I thought it was this expensive Korg, but then I had never heard any digital keyboard sound this authentic. Not only was I amazed, and sat there for two hours, but a line was beginning to form when we put it through some decent stereo speakers. Needless to say, they sold out that day. I was very fortunate to be one of the first to own it. Since then, I've been using my Pianoteq for almost all of my sessions. I strive to get the finest pianists in Los Angeles, and I would get the same reaction from them, that I had, when they first played it. They couldn't believe it either. Two-time GRAMMY-nominated Producer/DJ Morgan Page is ubiquitous within the dance music scene - his latest album, DC to Light, is set for release this summer. The record features numerous guest appearances, including tracks with Angela McCluskey and frequent-collaborator Lissie, the folksy starlet who worked with Page on 2009’s GRAMMY-nominated "The Longest Road." Over the years, Page has performed landmark sets at festivals across the world, including the Coachella Arts & Music Festival, Electric Daisy Carnival, Electric Zoo, and Ultra Music Festival, as well as countless shows in North America's biggest clubs. Page also hosts a weekly radio show on national satellite broadcaster Sirius XM. DC To Light follows In The Air, which debuted at #1 on Beatport's "Top 100 Albums" Chart and #6 on Billboard's Heatseeker's Chart. The title track reached #1 on the Billboard Hot Dance Airplay Chart, and held a Top 10 spot for an impressive 25 weeks. 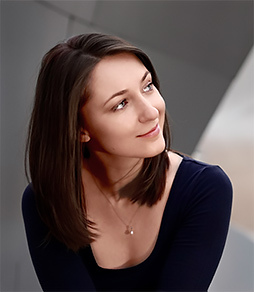 Multiple Grammy nominated pianist Nadia Shpachenko has performed extensively in solo recitals and with orchestras in major venues across North America, Europe and Asia. An enthusiastic promoter of contemporary music, Nadia has given world and national premieres of more than 60 piano, string piano, and toy piano works by composers including Elliott Carter, George Crumb, Daniel Felsenfeld, Tom Flaherty, Annie Gosfield, Yuri Ishchenko, Vera Ivanova, Leon Kirchner, and many others. A dedicated educator, Nadia is currently Professor of Music at Cal Poly Pomona University, where she leads the Piano Performance program and was awarded the 2017 Provost’s Award for Excellence in Scholarly and Creative Activities. 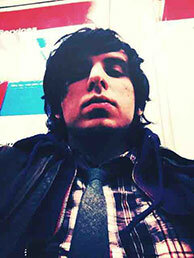 Giordano Mazzi is a keyboardist and programmer. Since the 1980's he has worked with some of the best Italian artists and producers, just to name a few: Vasco Rossi, Adriano Celentano, Mia Martini, Anna Oxa, Laura Pausini, Ivana Spagna, Gianni Morandi, Noemi, Il Volo. He is a frequent participant in popular Italian TV shows and music festivals. Ted has produced, played guitar, arranged, recorded, & toured with major artists such as Whitney Houston, Harry Belafonte, Bob Dylan, Diana Ross, Burt Bacharach, Dr. Dre, Ronald Isley, Alessandra Rosaldo, The Manhattans, Blush, Ringo, Joe Cocker, Chicago, Engelbert Humperdink. He has also done extensive work in TV & Movies. All this has made Ted proficient in a variety of musical styles. 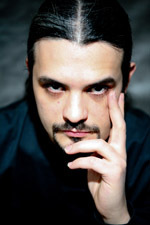 Jurij Gianluca Ricotti is a talented musician, working in many fields: guitarist, keyboardist, singer, synth programmer, drum programmer, teacher, reviewer, composer, studio engineer and producer. Since 1995 he has worked with a wide range of distinguished artists and producers such as Ennio Morricone, Britney Spears, Brian May, Yngwie Malmsteen, Salvatore Russo, Tony Renis and Humberto Gatica. He currently tours with the new and very promising opera trio IL VOLO. He played synth guitar and programmed all drums and synthesizers during their writing and pre-recording sessions in which Pianoteq was used in all piano tracks. Jurij teaches at the Roma Rock School where he has the position as Vice Didactic Director. 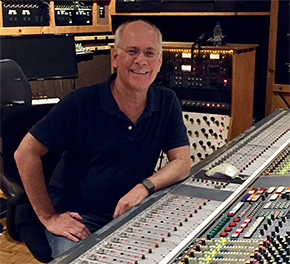 For the past 30 years, Jon Carin has played on record and in concert, with Pink Floyd, and also with David Gilmour and Roger Waters, as solo artists. He co-wrote Pink Floyd’s first Post-Waters’ hit Learning To Fly. He has also played with The Who, Pete Townshend, Bryan Ferry and many other artists, most recently Kate Bush on her Before The Dawn run of concerts in London. 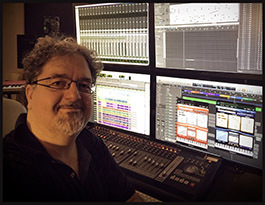 Jeff Wolpert is a multi-award winning engineer, mixer, producer, editor and educator. He has recorded some of the biggest names in today's music industry, in addition to a successful career working in film and television. Some of his projects include recordings for Loreena McKennitt, Holly Cole, The Cowboy Junkies and soundtracks to Blues Brothers 2000, American Psycho and Disney's Cars. He is also an associate professor at Fanshawe College in London, Ontario, which is the oldest and largest Recording Arts program in Canada, and in the Music faculty at McGill University in Montreal, Quebec. 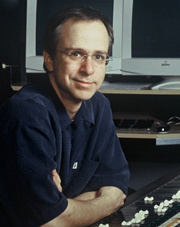 Two-time Emmy-award winning composer/arranger Hummie Mann has composed and orchestrated for such top-rated television series as "Fame", "Moonlighting", "Knots Landing", "ALF" and "The Simpsons". His motion pictures projects have ranged from Mel Brooks' "Dracula: Dead & Loving It" and "Robin Hood: Men in Tights" to Peter Yates' "Year of the Comet". 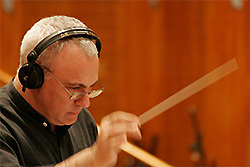 Mann co-produced the Marc Shaiman scores for such hits as "Sleepless in Seattle" and "A Few Good Men", and both orchestrated and conducted the Shaiman scores for "City Slickers" and "The Addams Family". He also composed the main title theme and underscore for Rob Reiner's cult series "Morton & Hayes". Besides his busy composing career, Mann is also the principal instructor of the Pacific Northwest Film Scoring Program and a guest lecturer at Napier University in Scotland as well as Artlab in Copenhagen, Denmark. Marco 'Borso' Borsatti has gained a Grammy Award as sound engineer, working with the most important Italian artists of today: Laura Pausini, Vasco Rossi, Eros Ramazzotti, Andrea Bocelli, to name a few. 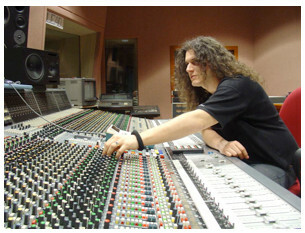 Borsatti's career started in 1989 as studio and live sound engineer. In 1992 his first approach to the audio professional world began in the Fonoprint recording studios, where he had the possibility to work with the best recording devices on the market, from analog tapes to the most advanced hard disk recording workstations. It was then he met the arranger and composer Celso Valli, one of the most influential musicians in Italy. He then started his research in finding the best way to manage the piano sound in his productions. He regarded his research as complete the day he first tried PIANOTEQ. In the latest album by Laura Pausini, Primavera In Anticipo (2008), Pianoteq was used as the acoustic piano in all songs (audio excerpt below). 'Invece no' as recorded on Laura Pausini's album Primavera In Anticipo, appears courtesy of Warner Music Italia. Paul Badura-Skoda (born in 1927) is a pianist, music editor and pedagogue with an outstanding repertoire of more than 200 recordings, focusing mainly on the piano works by Mozart, Beethoven and Schubert. The legendary conductors Wilhelm Furtwängler and Herbert von Karajan discovered his talent in 1949 and brought him to fame. Thanks to his splendid musical personality, Badura-Skoda is considered one of the world's most important pianists of our time. To the delight of many music lovers, he is still giving solo concert to dazzled audiences worldwide. Hannah Vasanth is a talented keyboard player, song writer and producer. She currently plays for Jessie J and has previously toured with many other successful artists: Rihanna, Anastacia, Sugababes, just to mention a few. 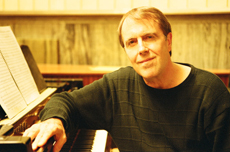 Grammy nominated arranger/composer Carl Marsh has been an integral part of the North American recording industry for over 3 decades. His ability to draw from pop, rhythm and blues and classical roots give Carl's work a richness and depth that is uncommon in music today. In the seventies he worked for R&B artists such as Steve Cropper, The Bar-Kays, The Temptations, Joe Cocker, James Brown and Isaac Hayes. Based in Nashville since 1986, Carl has expanded his client roster for his string and orchestra arrangements to include such country artists as Garth Brooks, Shania Twain, Trisha Yearwood, Wynonna, Vince Gill and Willie Nelson. On the rock side, he has been an integral part of the success of ZZ Top in the late eighties and early nineties, and has contributed to projects of REM, Bonjovi and Bad Company. At present, Carl is regularly writing for, and working with orchestras in Nashville, Montreal, Prague and London, and frequently conducts his arrangements for orchestra in the famous Abbey Road studios. Brett Tuggle has played and toured with a number of musicians including Rick Springfield, David Lee Roth (van Halen), Steve Lukather (Toto), Jimmy Page (Led Zeppelin), David Coverdale (Whitesnake), Chris Isaak, and Steven Tyler (Aerosmith). Since 1997 he is touring with Fleetwood Mac. Brett currently lives in Los Angeles where he plays live gigs and does studio work when not on tour. 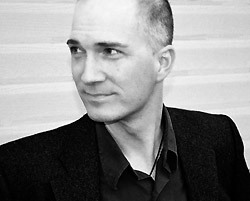 Guillaume Roussel is a French composer/orchestrator. His career started off in 2005 when he wrote scores to several popular French TV series. In 2007, his first soundtrack of an independent movie, "Tomorrow Is Today", won the Best Score Award at the California Independent Film Festival. 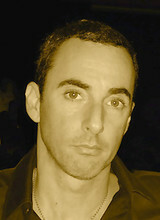 Since 2010, Guillaume is part of the film score company Remote Control Productions, run by veteran composer Hans Zimmer. In 2011, Guillaume wrote the soundtrack of "Les Seigneurs" and composed additional music on "Pirates of the Carribean 4" and "The Smurfs". He has also worked as additional composer on "How Do You Know", starring Owen Wilson and Jack Nicholson, and "Rango" the Video Game. Jimmy Bralower was born to make records. He was an early believer in the new electronic music technology and was the first studio drummer to adapt programming into his work. He's responsible for crafting unique sounds and exploring previously uncharted territory, paving the way for contemporary hip hop and innovating beat making techniques that are firmly established as part of the lexicon of modern recording. We have all heard his work in many hit records of the 1980's and 1990's by Madonna, Duran Duran, Mick Jagger, Peter Gabriel, Cyndi Lauper, Hall & Oates, Steve Winwood, Carly Simon, Billy Joel, Eric Clapton, Britney Spears, Backstreet Boys, just to name a few. In 2006, Bralower signed soul singer Ryan Shaw to his production company, and through a deal with Columbia Records received a Grammy nomination for the debut album This Is Ryan Shaw. Shaw's first Dynotone release, the album Real Love, has generated two more Grammy nominations. Sax man Mark Rivera's album Common Bond, featuring guest appearances by Ringo Starr and Billy Joel, was recently released to critical acclaim. 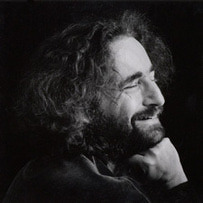 Vahagn Stepanyan is a gifted Armenian-born keyboard player, songwriter, composer, arranger and producer. His talents have been recognized by Grammy Award-Winning artists and well-known musicians across the world, collaborating with many of them in the studio and on tour, including: Eric Marienthal, Nathan East, Eric Moore, Melvin Lee Davis, Wojtek Pilichowski, Anthony Crawford, Cleverson Silva, Adam Hawley, Feodor Dosumov and many more. He continues to collaborate, tour & produce music for world class musicians and artists around the globe. Masaya Yamaguchi is not only a musician but also a conceptualist who established his own system to explore the imaginative formation of musical scales by The Complete Thesaurus of Musical Scales, which is a meta-contribution to music pedagogy of a high standard. Jazz Education Journal wrote, "It's worth mentioning that this book comprehensively covers all theoretical possibilities in constructing scales (July-August 2002)". The concept is revealed in many of his writings and compositions. At the end of the 20th century, Masaya Yamaguchi became the first native Japanese to complete the master's program in Jazz Performance at the City College of New York (M.A. 1999). Because of the reference value of his outstanding achievements, Marquis Who's Who has selected his biographical profile for inclusion in Who's Who in America, Who's Who in the World and Who's Who of Emerging Leaders. 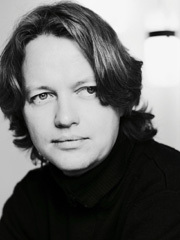 Paul Haslinger is an Austrian musician and composer. He lives and works in Los Angeles. Paul began his career as a member of Electronic Music pioneers Tangerine Dream. 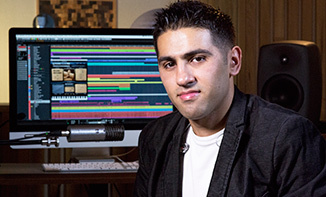 His career in film composing began with the scoring of HBO’s Cheaters in 2000. He received an Emmy nomination for his work on the Showtime Series Sleeper Cell. Notable projects include Fear The Walking Dead, Halt And Catch Fire, Rainbow Six Siege, Underworld Awakening, and Minority Report. He is currently working with the score of the upcoming film Resident Evil: The Final Chapter, starring Milla Jovovich. 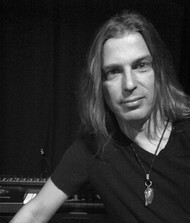 Sven Martin is an in-demand performance keyboardist and studio producer/songwriter. He has been touring some of the most popular and most remote parts of the globe as musical director and keyboardist for Russia's No.1 export, t.A.T.u.. He has played to 100,000 people in Kazakhstan, shared the stage on Red Square with Shakira and the Black Eyed Peas, and turned a sold-out show in St. Petersburg into a live DVD. Add to that performances with Liz Phair on the Chicks with Attitude tour, and television appearances on several shows including The Tonight Show with Jay Leno, and Sven's prowess and popularity as a musician become irrefutable. Sven currently works on the debut of Lena Katina's first solo album, starting with a release of the first single "Never forget", which reached #1 on the Billboard Club Charts as the Dave Aude Remix. Richard Harvey is a sought after film composer and conductor, collaborating with major contemporary composers including John Williams, Stanley Myers, Paul McCartney, Elvis Costello, Maurice Jarre and many others. He has scored over 70 film and television projects up to date, from countless British television series, documentaries and feature length TV films, to major Hollywood titles, contributing to Hans Zimmer's score for the huge box office hit The Da Vinci Code (2006). He has also scored the moving historical drama feature film Eichmann (2007), the idiosyncratic French fantasy Les Deux Mondes (2007). Most recently he has conducted and arranged the score of Interstellar (2014) for Hans Zimmer and will be appearing with Zimmer at his two upcoming London concerts. Richard has also an important presence in the Thai film industry and was honoured a Royal Invitation to work closely with executive producer Francis Ford Coppola and to score for the major historic movie "Suriyothai". His talent as a composer of film and television music has been recognised with several awards including a British Academy Award. Richard has also made several classical albums, including a Classical Record of the Year, "Italian Recorder Concertos" (1982), which remains in Gramophone Magazine's Top 100. Keyboard man and confidante to the likes of Noel Gallagher's High Flying Birds, Sheryl Crow, Oasis, Stevie Nicks, Superheavy, Mick Jagger, Damian Marley, Nas, Bill Fay, Jeff Tweedy, Stereophonics, Sarah McLachlan, Ben Taylor, Mike Scott & The Waterboys, A R Rahman, Doyle Bramhall II, Travis, Lighterthief, Andy Partridge, Amorphous Androgynous & Dave Stewart amongst others. (© Ben van Duin) The Dutch composer Michel van der Aa (1970) is one of Europe's most sought-after composers today. Van der Aa is a child of his time. Not only the use of soundtracks but also the inclusion of visual elements in Van der Aa's compositional pallet enhances the theatrical aspect of his art. In 2002 Van der Aa completed a program in film directing at the New York Film Academy, where he learned the art of 16 mm filmmaking. 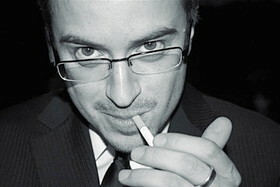 In applying film images and soundtracks as additional instruments, he effectively extends the vocabulary of his music. Michel van der Aa is today 'house composer' for the Royal Concertgebouw Orchestra of Amsterdam and is currently working on a new film-opera in collaboration with librettist David Mitchell, author of Cloud Atlas. Van der Aa's music has been performed by ensembles and orchestras worldwide at festivals ranging from the Berliner Festspiele to Festival d'Automne á Paris, Donaueschinger Musiktage, Venice Biennale, Lucerne Festival, Autumn in Warsaw and others. 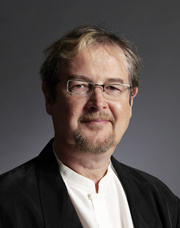 Michel Van der Aa was awarded the International Gaudeamus Prize (1999), Matthijs Vermeulen prize (2004), Siemens Composers Grant (2005), Charlotte Köhler Prize (2005) and the Paul Hindemith Prize (2006). Michel van der Aa is published by Boosey & Hawkes. Currently based in Vancouver, Miles has a wealth of musical experience as an arranger, producer, composer, session musician, guitarist, bassist, saxophonist, songwriter, musical theatre director, music therapist and college level music instructor. He has performed on countless albums, and has played with many music greats around the world - Mark Murphy, Lee Konitz, Slide Hampton, Chuck Israels, Dee Daniels, Jane Siberry, The Vancouver Symphony Orchestra and many others. Currently, Miles is involved in several projects: He is co-leading a modern jazz quartet called "Altered Laws" with Tom Keenlyside. In 2003, Miles set up Carltone Studios and Carltunes Recordings with engineer/percussionist Chamberlist. 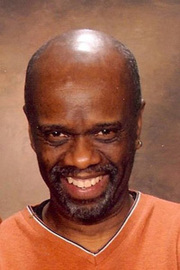 Since 1991, Miles has been working for PG Music, with whom he has helped to produce and performed on music software programs, including "The Jazz Pianist 1&2" and "The NewAge Pianist". With over 220 world premieres to his name, Sebastian Berweck is one of the most sought-after interpreters of experimental contemporary music. He is known for his energetic interpretations of unusual repertoire in- and outside the piano as well as working with electronics. Sebastian Berweck holds a PhD from the University of Huddersfield, is a member of stock11, and lives in Berlin. Born blind in 1961, Jean-Philippe Rykiel taught himself piano from a very early age. 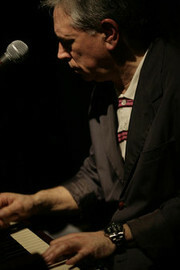 His technical mastery of the instrument and his musical intuition brought him recognition by his contemporaries, which provided him many experiences and collaborations as programmer (from Vangelis to Vladimir Cosma), instrumentalist (Steve Hillage, Jon Hassell, Didier Malherbe and numerous African projects) or arranger (Xalam, Salif Keita, Leonard Cohen, Youssou N’Dour). 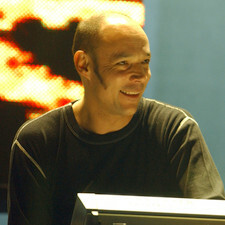 During the last three decades, Jean-Philippe Rykiel has been involved in many pioneering projects - from Salif Keita's "Soro" to "The Lama's Chant" and has gained a reputation as one of the world's foremost keyboard players who also has impressive talents as a writer, arranger and producer. 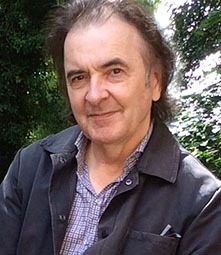 Nick Glennie-Smith (born 3 October 1951 in London) is an internationally recognized English composer and conductor whose talents were sought out by the Hollywood movie industry some years ago. He has scored many well known movies including: "Heaven Is For Real", "Secretariat", "We Were Soldiers", "Lion King 2", and "The Man in the Iron Mask". He has also worked with Hans Zimmer on many films writing additional music. He has conducted the scores of many Hollywood movies and was Musical Director for the 2012 Oscars. Before moving to the USA in 1990 he was a keyboard session player in London working on many hit records, and as a youngster he was a chorister and head soloist at New College, Oxford. He has currently finished a world tour with Hans Zimmer. 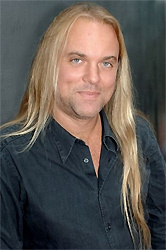 Renown film composer Klaus Badelt has worked with some of the greatest filmmakers of our time, received many international awards and honors of distinction, scored more than 35 major motion pictures, and set the tone for both critically acclaimed films and top-grossing franchises and blockbusters. 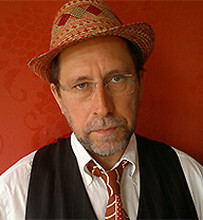 After writing scores for such films as Pirates of the Carribean: The Curse of the Black Pearl, The Recruit, K:19 The Widowmaker, Rescue Dawn, The Time Machine, Premonition, 16 Blocks, Poseidon and many others, Klaus cemented his place as one of Hollywood's most in-demand, touted, and versatile composers. In order to write these great scores, Klaus' Los Angeles and International studios must utilize only cutting edge music technology, tools, and equipment, and include only the finest virtual instruments and plug-ins. Klaus is currently using Pianoteq for "Asterix & Obelix: God Save Britannia", "Fly me to the Moon", and the recently finished "Shanghai Calling". 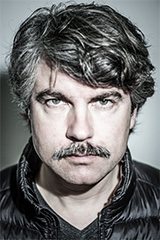 Philippe van Eecke is a well-known, multiple platinum selling composer, producer, engineer, remixer and sound designer from Mannheim, Germany. He has been working together with Xavier Naidoo, Söhne-Mannheims, Carl Carlton and Yvonne Catterfeld only to name a few. His work includes composing, engineering and producing 10 out of 14 songs on the number one album "Telegramm für X" by Xavier Naidoo which sold over 1.4 million copies. Philippe van Eecke's philosophy "Everything is music and music is everything" describes best what drives his work as a composer and producer with a musical spectrum ranging from "acoustic photography" to the recording of natural sounds, all the way to experimental sound mutation - it all exists within the essence of music. 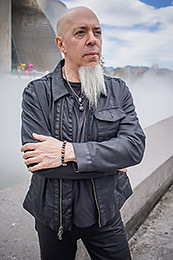 Voted "Best Keyboardist of All Time" by Music Radar Magazine, Jordan Rudess is best known as the keyboardist/multi-instrumentalist extraordinaire for platinum-selling Grammy-nominated prog rock band, Dream Theater. He has appeared on the live albums and DVDs Live Scenes From New York, Live at Budokan, Score, Chaos in Motion, Live at Luna Park, and Breaking The Fourth Wall which went to #1 on the Billboard charts. His latest solo album ‘Wired For Madness’ is available via Music Theories Recordings / Mascot Label Group. Stuart Crichton is a successful, Australian based, international songwriter and producer who has garnered several Top 10 UK and international hits. Stuart has worked with a number of world-renowned artists such as: Kylie Minogue, Delta Goodrem, Guy Sebastian, Depeche Mode, Pet Shop Boys, Elton John, Brian McFadden, Sugababes, Jamelia and Dame Shirley Bassey as well as contributing several top 10 UK and international hits. 1. Quality of sound, which is unbelievable!! 2. Very low CPU usage. Which is very important to me when I am writing on my portable laptop rig. I am currently using PIANOTEQ on numerous new productions that I am doing. Now established as a composer in the world of film music, John 'Rabbit' Bundrick divides the year between writing and world tours with world class artists. It all started at the age of seven when he received his first piano and began banging on it straight away. Soul music and sessions soon followed, most particularly work with Johnny Nash. Eventually he found his own unique instrumental voice on the Hammond Organ. He worked with Bob Marley, Free and finally, The Who. 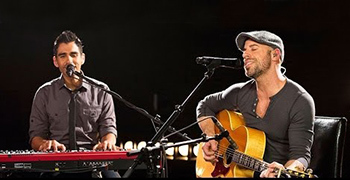 Elvio Fernandes is a Rochester, NY-based musician, songwriter and producer, best known for his work as a keyboardist, rhythm guitarist and vocalist for multi-platinum-selling artist Daughtry. 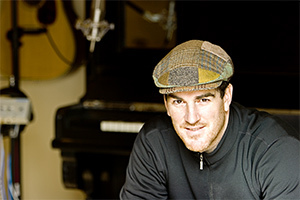 Elvio’s writing credits include multiple Daughtry songs including the single "Witness" and "Crazy" from the band’s "Break The Spell" record. In addition to his work with Daughtry, Elvio has worked with national recording artists such as Richard Marx, Brad Arnold of 3 Doors Down, Brian McKnight, Claude Kelly, Greg Howe, and American Idol finalist Ace Young whose Top 50-debut single "Scattered" was produced and co-written by Elvio. Best known for his 13 notes heard around the world that spawned Eminen's biggest hit "The Real Slim Shady", Tommy Coster isn't just a hip hop producer and composer. Yes, he co-wrote "The Real Slim Shady" with Dr. Dre and Eminem but he also co-wrote a song entitled, "Zulu", with Carlos Santana in 1977 at age 11. 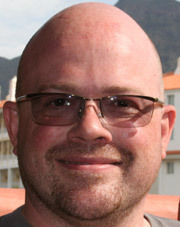 Coster has scored several films, and film trailers and continues to be a driving force in the development of upcoming artists. His musical compositions and performances have sold over 70 Million units and he continues to write and produce for artists and labels internationally. 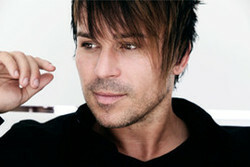 Composer and technologist BT is one of the most cutting-edge artists and producers for a dizzying array of musical styles. Whether composing intricate scores for blockbuster films such as Fast and Furious, and the Oscar winning Monster; writing and producing for Sting, David Bowie, Peter Gabriel and Madonna to creating cutting edge proprietary software tools from scratch to make it happen - BT is at the heart of it all. Juxtaposing memorable songwriting with sonic innovation and hand- designed technologies, BT crafts classically influenced, electronic overtures, ringing with living textures that are an industry source book of new and highly copied signature techniques and ideas. Tim Hinkley is one of the world's top session musicians. He has recorded and toured with Humble Pie, Van Morrison, George Harrison, The Rolling Stones, The Who, Tom Waits, Bad Company, Whitesnake, Tim Buckley, Al Stewart, Thin Lizzy, Roger Daltrey and many others. 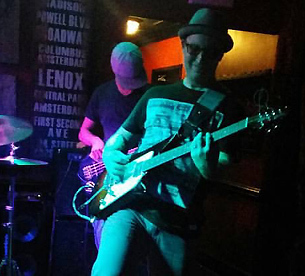 From Jody Grind, Tim's Hammond organ trio that impressed audiences across Europe in the sixties to Hinkley's Heroes, the loose jamming band made up of seventies fugitives from the top British rock acts of the time, Tim has always been there playing his music. Beside his work as a musician, Tim produced records by the likes of Johnny Hallyday, Chris Farlowe and Steve Marriott. Tim continues to play in a duo with guitarist Andreas Werner and with his Tim Hinkley Trio featuring the mighty Hammond B3. 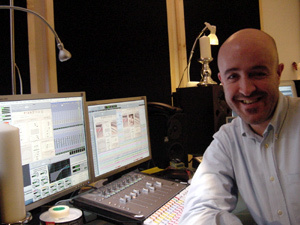 Luca Bignardi is an Italian sound engineer and producer, well known for his collaborations with many Italian and international artists. 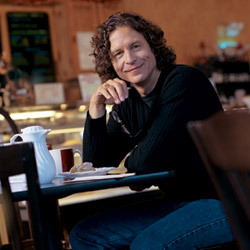 He received 3 Latin Grammys, along with several nominations, and 1 Grammy for his collaboration with Laura Pausini. 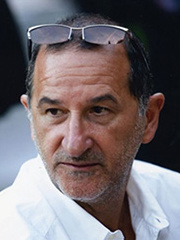 Since 1979, he has worked with famous producers such as Mauro Malavasi and Celso Valli, and with famous artists such as Adriano Celentano, Eros Ramazotti, Vasco Rossi, Alex Ubago, and Andrea Boccelli. He recently finished a recording project with Sergio Dalma and which album has hit the top position in the Spanish charts. Since 2014, Luca lives in Shanghai where he collaborates with many Chinese top artists and producers. Allan Watson is a Timpanist and Percussionist with the Australian Opera and Ballet Orchestra resident at the Sydney Opera House. He has more than 25 years experience performing a huge range of Opera and Ballet repertoire with some of the worlds finest conductors. He has worked on a variety of Movie soundtracks and Television shows and taught at the University of NSW and Australian National University. 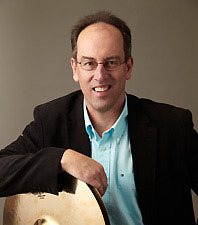 Allan also owns Optimum Percussion, a store specialising in the supply of orchestral percussion instruments imported from all parts of the globe to the finest orchestras and bands in Australia and New Zealand. 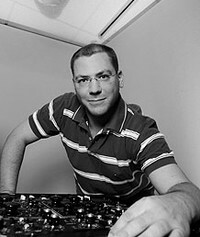 Joel Corelitz is a Chicago-based composer/sound designer. His personal brand, Waveplant, provides original music for television, film & media as well as bleeding-edge musical sound design for motion graphics. 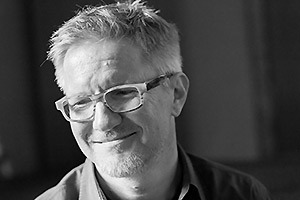 He has scored commercials on the Super Bowl as well as work featured in Stash, Motionographer, OneDotZero, and Smilefaucet. 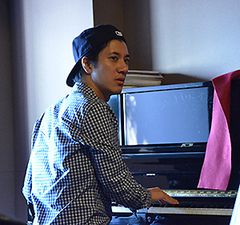 He has also been written about in both Keyboard and Future Music magazines for his production work. Leon Pendarvis is the musical director of NBC's Saturday Night Live Band and is the longest standing musician in the show's history. Pendarvis has also written, produced and performed for artists like Eric Clapton, Marvin Gaye, Ike and Tina Turner, Roberta Flack, Quincy Jones and B.B. King. In addition, Pendarvis owns and operates Pinwheel Productions, a world-class recording facility that has hosted such talented artists as Pink and Avril Lavigne. David Baron is an internationally recognized composer, keyboardist, producer, arranger and engineer. 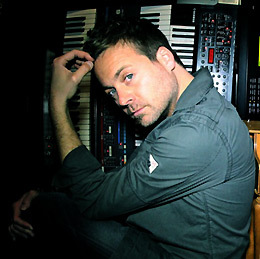 He produced the upcoming artist Jade Bird, with the hit songs "Lottery" and "Uh Huh", and co-produced the Mercury nominated "The Bride" for Bat For Lashes. He also produced and co-wrote all the songs for goth-legend Peter Murphy’s "Ninth", and was one of the two musicians on Meghan Trainor’s "All About That Bass" for which he received an RIAA Diamond Award for his role (10 million+ in sales). He orchestrated on records such as Shawn Mendes’ "Illuminate Deluxe", "Shawn Mendes", Meghan Trainor’s "Title", and Lenny Kravitz’s "Raise Vibration", and is the keyboardist on The Lumineer’s "Cleopatra". He also has appeared on records with Michael Jackson, Lenny Kravitz, Vance Joy, Fifth Harmony, and Simone Felice. 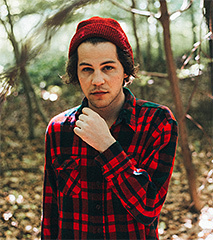 Recently, he finished the new Lumineers record and projects including Jade Bird and Conor Oberst. Currently, he is scoring the follow up to the feature film "Ashes and Snow" for Gregory Colbert and is releasing cinematic music under his own name on the UK based Here & Now Recordings label. 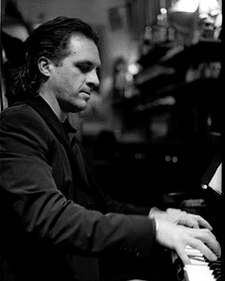 William Lecomte is a French jazz pianist, composer and arranger. He studied the harpsichord, piano and harmony at Conservatoire de Poitiers, France, and continued his studies in jazz with Bernard Maury. He is currently touring with Jean-Luc Ponty and has toured and recorded with Vaya con Dios, Eric Séva, Ines Martinez and many others. The man on keys for London Ska legends Madness has been the driving force behind many of their 20 Hits over almost 30 years. Their debut album "One step beyond" catapulted them into the charts all over Europe, giving the teenagers multiple platinum status. Every kid in the UK and Europe danced to Songs such as "Baggy Trousers" or "Night Boat To Cairo", their trademark 'nutty sound'. After their world smash "Our House", with which they entered the US charts for the first time in 1980 Madness became a household name all over the world. The string of hits continued until the band took a break in 1985. They returned with a bang when they organised the 1992 Madstock concerts in London's Finsbury Park, the only Live event to date to literally register on the Richter scale due to the enthusiastic pogo-ing of the 70.000 punters over the two days. Since then Madness have enjoyed continued success of the live circuit worldwide and are currently working on the follow up of the 2005 album "The Dangermen Sessions". Mike's keyboard sound has, although intricately layered with strings, mallets and other, more synthetic colours of the sonic spectrum, always had a firm base in the piano. Since most Madness songs are essentially written around a piano part the quality of this instrument is crucial to band's overall sound. Recently, Mike has changed his hardware rack for a computer set-up, and while a lot of the synthesizers and sample based natural sounds such as strings were relatively easy to port across, even some of the most high-end piano sample libraries ultimately disappointed him. Moving away from samples he discovered in PIANOTEQ the perfect tool, both in the studio and on the road. The moderate CPU load it puts on a system, combined with superb sonic performance and low inherent latency make it the ideal base for his key rig now. In a series of recent concerts PIANOTEQ has proven to be exactly what was called for, both musically and technically. 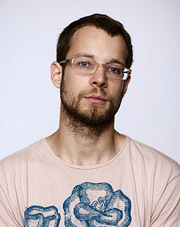 New York native Jayson DeZuzio inked a deal with Kid in a Korner/Universal recently and has been nonstop since. Now based in Los Angeles, Jayson has penned and produced songs for Imagine Dragons, X Ambassadors, Jamie N Commons, Christina Aguilera, Skylar Grey, and Lana Del Ray. 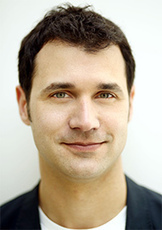 Ramin Djawadi is known for his melodic and memorable thematic scores. His compositions vary stylistically between classical orchestral, electronic, rock and modern genres. Ramin blends elements with careful consideration to the emotionality and narrative of each scene. 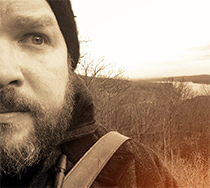 The three time Emmy® and Grammy® nominated composer challenges himself with each new project. 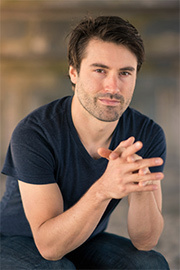 Ramin has scored an array of Film, TV, and Videogame projects. Some of these films include: "Pacific Rim," "Safe House," "Clash of the Titans", "Iron Man," as well as notable television series such as, "Game of Thrones," "Person of Interest," and "The Strain." 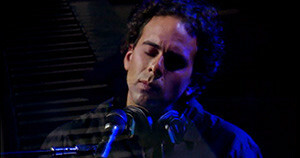 Over the years, Ramin has strived not only to create beautiful scores but to establish his identity through his unique sound. Richard Maheux hails from Quebec, Canada. After making the move to New York City he performed with acts such as Rihanna, Cirque du Soleil (Delirium), Patty Smyth & Scandal and conducted on various Broadway productions including Rock Of Ages. Richard also enjoys being in the studio and his production skills have led him to work on many successful recording projects such as Star Académie 2005 which won the Best Selling Album Award at the Gala de l'Adisq. 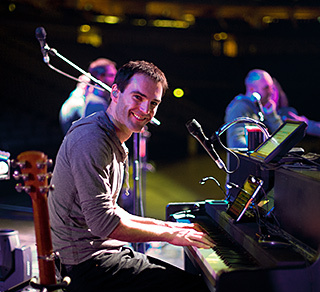 Richard joined Enrique Iglesias's band as keyboardist in early 2012. 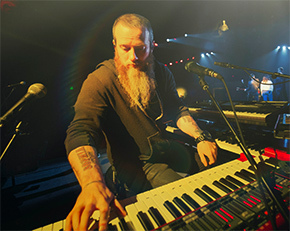 Jonathon Long is the Keyboard player and Musical Director for the grammy awarded country music group Lady Antebellum. They have sold more than 10 million albums in the USA alone with nine number-one singles including 'I Run to You' and 'Need You Now'. Jonathon has also played for top country artists such as Kevin Sharp, Jamie O'Neal, George Canyon and Sara Evans. He has also enjoyed a world tour with Engelbert Humperdinck. Johnny McDaid is the prolific songwriter and producer behind a wide array of recent chart hits with Ed Sheeran, Rag n Bone Man, James Blunt, Zara Larsson. Along with his role as executive producer on Kodaline’s third Album (due in 2018), Johnny’s next project is a full album with Irish traditional band Beoga, who brought their distinctive sound to Ed Sheeran’s Irish number one single, "Galway Girl". Born in Dublin and raised in Derry, Northern Ireland, McDaid moved to London in his late teens and spent a decade leading his band Vega4 before signing to Polar Patrol Publishing. Johnny has since written soundtracks and numerous songs for movies alongside Snow Patrol frontman, Gary Lightbody. McDaid went on to tour with Snow Patrol during the Fallen Empires Tour and subsequently joined the band as a full time member. 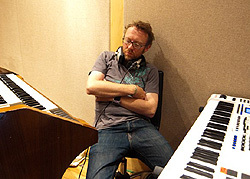 Kevin McAlea played keyboards on the first Kate Bush tour and again in 2014 on Kate's "Before The Dawn" series of concerts at the Hammersmith Apollo. In 2015/16 he was on tour with David Gilmour in Europe including five concerts at the Royal Albert Hall. Then North and South America including New York’s Madison Square Garden and Radio City and the Hollywood Bowl and Forum in LA. He has toured / recorded with Kate Bush, Kirsty MacColl, Clannad, Seal, Roy Harper, Pino Danielle, Enya, Polystyrene, Richard O'Brien, Dr Feelgood, Bees Make Honey, Barbara Dixon, Barclay James Harvest, Kim Wilde and others. 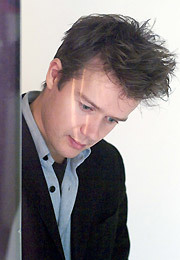 He has written music for film, TV and songs for Pearson education. He wrote the English lyrics for Nena's 99 Red Balloons. When it comes to positioning music in Spanish to thrive in an international market, Italian producer Bob Benozzo has become a force to be reckoned with and an essential part of its growth. His work has become synonymous with the cutting edge success of many recent musical productions, establishing him as one of the most sought after producers in the industry. His remarkable career is almost too good to be true. At the young age of 34 he has already amassed an unbelievable number of Gold and Platinum records, in addition to countless awards that have earned his productions a permanent spot on Billboard and other international music charts. Benozzo's credits list counts renowned artists like Olga Tañón, Emmanuel, Juan Velez, Ricardo Montaner, Chambao, Esterlla Morente, Gloria Trevi, Xtreme, Ornella Vanoni. Known in the industry as Wix, He has recorded and performed with many of the leading Artists in the business also having number one success as a record producer. He is musical director for Sir Paul McCartney with whom he has worked since 1989. He was musical director at The Concert For Diana from Wembley Stadium and also for a multi-artist concert in The White House for President Obama. Not only has he has performed around the world to millions of people but also in his daughter's school playground for the summer fair. 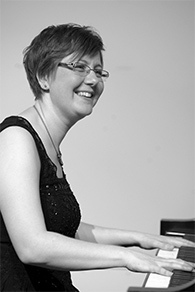 Sonya Belousova’s unique career presents a rare blend of contrasting genres and forms bringing her equal recognition as a composer and pianist. Through her Youtube channel PlayerPiano, in cooperation with director Tom Grey, she has gathered millions of fans across the globe. Belousova is known for frequently collaborating with 28-time Grammy nominated producer Jorge Calandrelli. Most recently, Belousova scored Lionsgate’s Reprisal starring Bruce Willis, SXSW hit M.F.A., which earned her a coveted spot on Taste of Cinema’s 10 Best Film Scores of 2017, produced & co-composed the critically acclaimed haunting soundtrack to Stephen King’s thriller-drama The Mist, composed three original ballets, starred and served as a music producer for Mitsubishi Luxury commercial. Thomas G:son has written many songs in different national pre-selections for the hugely popular Eurovision Song Contest which is watched by a hundred million television viewers every year. G:son has so far written 31 songs for Sweden and 25 songs for other European countries. In 2012 he contributed with the winning entry Euphoria, performed by Loreen, and the Spanish entry Quédate Conmigo, performed by Pastora Soler. Other artists he has written for include Arash, Jonas Brothers, Tsukasa Maizu, NewS, Carola, Charlotte Perrelli, Nikki Ponte, Guri Schanke, Kandis, Vikingarna, Lasse Stefanz, Thorsten Flinck & Revolutionsorkestern, Dynazty, Masquerade, Sanna Nielsen, Chanée & n'evergreen, Jenny Silver, Reidun Sæther and Coral Segovia. Ed Cash is a GRAMMY award winning producer / songwriter based in Nashville, the GMA Producer of the Year in 2005, 2006, 2007,2012, 2013, 2014, the BMI Christian Songwriter of the Year in 2007, and more recently winner of Song of the Year in 2014. He has 25+ Dove Awards, and has produced multiple Gold and Platinum selling records. Some of those artists include Vince Gill, Amy Grant, Dolly Parton, Chris Tomlin, Steven Curtis Chapman, Needtobreath, David Crowder, Kari Jobe, Jeremy Camp, Casting Crowns, and TobyMac. 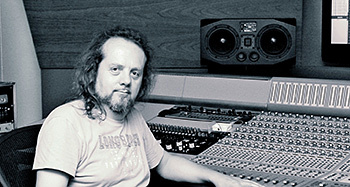 Rik Simpson is a Grammy award winning producer responsible for many platinum selling records from the likes of Jay Z, Portishead, PJ Harvey and Coldplay. He used Pianoteq in the latest Coldplay album Ghost Stories. 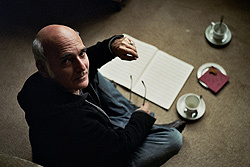 Composer and pianist Ludovico Einaudi has been described as minimalist, classical, ambient, contemporary and deeply touching the welcome sound of stillness in a hectic world. His hauntingly beautiful and evocative music has kept him among the best-selling and most requested recording artists in the UK and Italy in particular. Besides involved in many collaborative ventures in theatre and dance, he has scored many official movie soundtracks such as This Is England and The Intouchables. 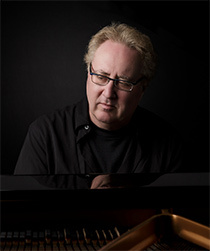 Grammy Award winner Jason Miles is a producer, arranger, composer, and keyboardist. Miles has worked over the years with a proverbial who’s who of contemporary music: Whitney Houston, Michael Jackson, Sting, Aretha Franklin, Chaka Khan, Michael Brecker, The Crusaders, Ruben Blades, Freddy Cole, George Benson, Joe Sample, Herb Alpert, Vanessa Williams, Grover Washington Jr., Lea Salonga and many others. His 2015 album Kind of New has received great acclaim from the Global press and is one of the top reviewed albums. His latest release To Grover With Love Live in Japan has also started to receive great acclaim as well. He has performed at top festivals and venues throughout the world, including Monterey Jazz Festival, Jazz Aspen, Umbria Jazz, North Sea, Jacksonville Jazz Fest, Jazz Fest NOLA and Tokyo Blue Note. Morelli has worn many hats over the years such as MD, to studio ace, as well as playing guitar for artists such as Ed Sheeran, Bruno Mars, Roberta Flack, Queen Latifah, Jennifer Hudson, Grace Potter, Ne-Yo, The Roots, DJ Jazzy Jeff, Hunter Hayes, The Jonas Brothers, Esperanza Spalding, Nicole Scherzinger (Pussycat Dolls), Rodney Holmes (Santana), K’Naan, Wes Morgan, & Musiq Soulchild to name a few. French of Moroccan origin (born in Jerusalem), Armand Amar spent his childhood in Morocco. Imbued with the sounds of instruments considered exotic at the time, the pull of that "world apart" exercised by extra-European music soon fascinated him. The musical and spiritual influences at play show through in his film scores, such as Eyewitness (2000), Live and Become (2006), Days of Glory (2006), and The Concert (winner of the César Best Soundtrack of the Year Award 2009). He recently worked on the music for Nicolas Vanier’s, Belle et Sébastien, for the Norwegian director Erik Poppe’s movie Thousand Times Goodnight, Alexandre Arcady’s 24 Jours, and Philip Muyl’s new film Le Promeneur d’oiseau. In 1994 in partnership with his friend Alain Weber, he founded the record label Long Distance for traditional, world and classical music; it now boasts more than 60 titles. His own work is released through naïve, Long Distance, Universal and Sony. Guy Sigsworth is a successful electronica producer with a background as former band member in the band Frou Frou and in the European Baroque Orchestra in Oxford. He has worked with dozens of artists, including Alanis Morissette, Madonna, Björk, Seal, Talvin Singh, Jem, Britney Spears, Lamb, Robyn, Sugababes, Juliet, Temposhark and many others. 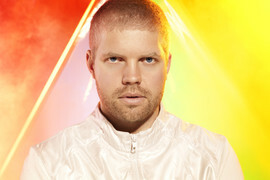 His latest projects include Britney Spears' latest album "Circus" (2008) and Kate Havnevik's forthcoming album (due out in 2009). In 2007, Sigsworth produced the whole of Alanis Morissette's latest album "Flavors of Entanglement". 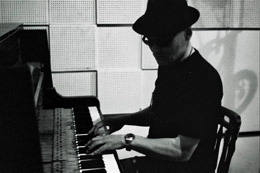 There he made use of Pianoteq in the bonus track "Madness" where he created an acoustic piano tone, but with a discreet, "tucked in", Wurlitzer-like softness (audio excerpt below). 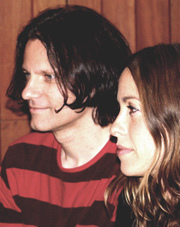 "Madness" as recorded on Alanis Morissette's album Flavors of Entanglement (DELUXE EDITION), appears courtesy of Warner Bros. Records. 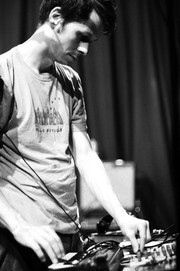 Gunnar Örn Tynes is a front member of the experimental Icelandic musical group múm. Their music is characterized by soft vocals, electronic glitch beats and effects, and a variety of traditional and unconventional instruments. They are regularly touring worldwide and have released 7 albums. 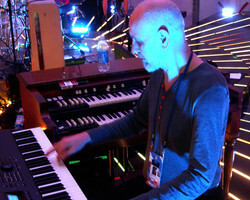 Mark Kelly is the keyboard player with the Progressive rock band Marillion. He joined the band in 1981 and has co-written many of their songs and played on numerous tours all over the world. Marillion have made 19 studio albums, which together have sold in excess of 15 million copies worldwide. Marillion are widely acknowledged as one of the first bands to truly embrace the Internet and tap into its potential to interact with their fans by inventing Crowdfunding in 2001. In addition to his role with Marillion, Mark is an elected performer director of PPL (Phonographic Performance Ltd) and a founding member and CEO of the Featured Artists Coalition, an organisation set up to give artists a voice in the fast changing music industry.